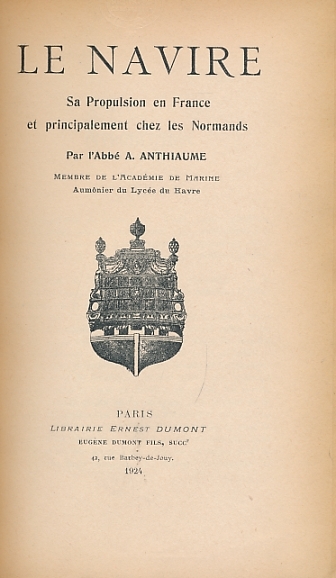 Barter Books : Anthiaume, A : Le Navire Sa Propulsion en France et Principalement Chez les Normands. 240 x 150 mm (9 x 6 inches) - 403pp. G : in Good condition without dust jacket. Library rebind. Ex Cruising Association Library, usual stamps and marks but minimal marking to text. Page edges browned.